The most remarkable thing about Mark Watney (played by Matt Damon) in Ridley Scott’s blockbuster movie, “The Martian,” is his ingenuity in troubleshooting while stranded on Mars. You could say that he MacGyvered his way out of Mars with the help of duct tape, rocks, tarp, and whatever material was at hand. 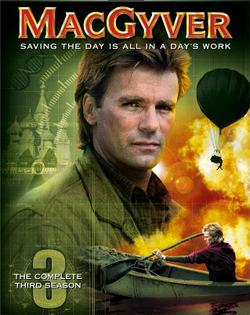 MacGyver is a good example of a word originating from popular culture that’s now entrenched in our vocabulary. The English language has borrowed words from the vast arena of culture since the time of William Shakespeare, the source of 1,700 English words, according to Shakespeare Online, a Web site dedicated to the Bard. MacGyver: To jury-rig or build something out of any materials at hand. From the TV show, “MacGyver” (airing from 1985 to 1992), whose hero, Angus MacGyver, repaired things by improvising. Hoverboard: A board that looks like a skateboard without wheels and can levitate. From “Back to the Future,” directed by Robert Zemeckis. In the film, Marty McFly (Michael J. Fox) used a hoverboard. The word gained traction recently when Lexus announced that it has developed Slide, a hoverboard. McConaissance: The series of acting awards won by actor Matthew McConaughey in 2014. Robot: A machine controlled by a computer; a mechanism guided by automatic controls. From a 1920 play, R.U.R. (Rossum's Universal Robots), written by a Czech writer, Karel Čapek. The word originally referred to work and drudgery. Read more about new words in the Oxford Dictionary that originated from pop culture.